Bring your buyers to this lovely home in Clubside Village of Golden Ocala. Just steps from the Spa & Tennis Center, and conveniently located near the back gate for easy access in and out of the property. 3 minute drive from the new World Equestrian Center. Den connects to a full bath via pocket door for additional guests. Waterfront Villa in Golden Ocala/Eagles Landing. Open floor plan includes a large chefs kitchen with custom cabinets. Too many upgrades to list including high ceiling with crown molding. This beautiful custom home is a must see. Formal Living and dining plus a large loft upstairs. Most rooms have an amazing view of the lake. Cabinet are upgraded throughout plus all flooring is an upgrade. MAJESTIC OLD WORLD STYLE MEDITERANIAN ESTATE. 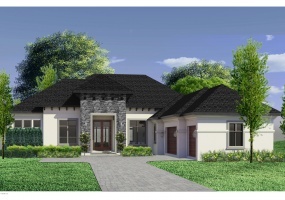 HOME OVERLOOKING ST ANDREWS REPLICA HOLE AT GOLDEN OCALA GOLF AND EQUESTRIAN CLUB. BREATH TAKING PANORAMIC VIEWS OF THE POOL AND GOLF COURSE. EXQUISITE FINISHES THROUGHOUT. PANELED LIBRARY, GAME MEDIA ROOM WITH WET BAR. CUSTOM 500 BOTTLE CLIMATE CONTROLLED WINECELLAR.